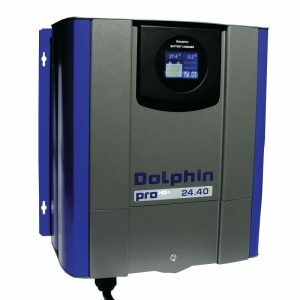 The DOLPHIN PRO battery charger is dedicated for tough environment applications, commercial, and marine fields. 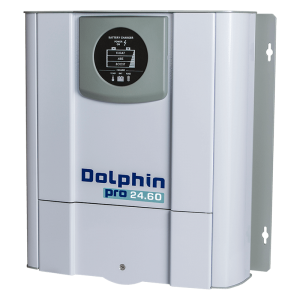 Share the post "Dolphin Pro Charger 24V150A 1 Phase"
The DOLPHIN PRO battery charger is dedicated for tough environment applications, commercial, and marine fields. 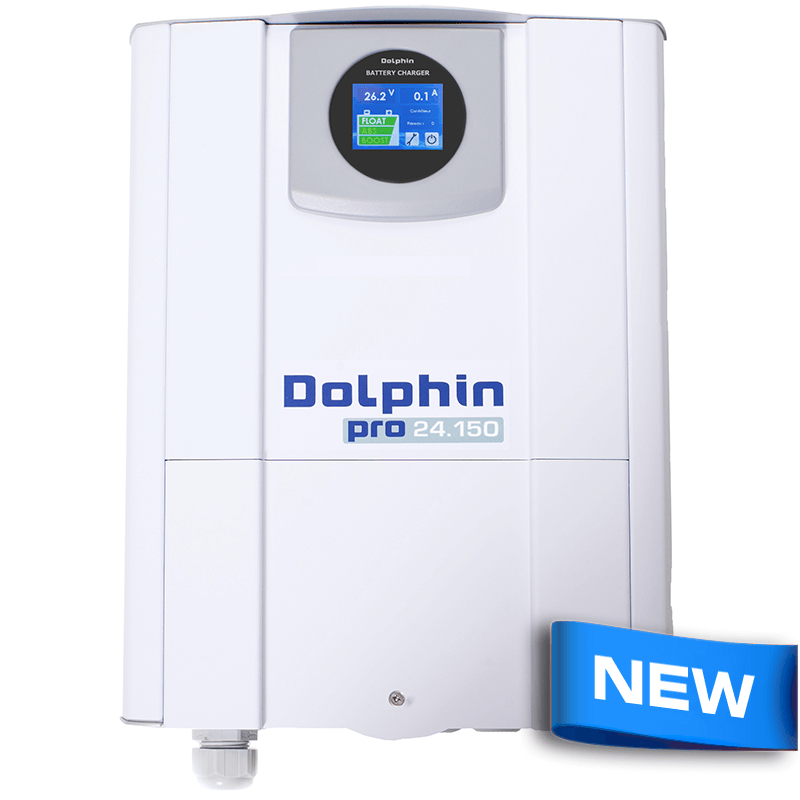 Evolution of DOLPHIN 2 series with 16 years of experience and more than 100 000 units installed worldwide the DOLPHIN PRO is more compact, more efficient and more technologically advanced than his predecessor. 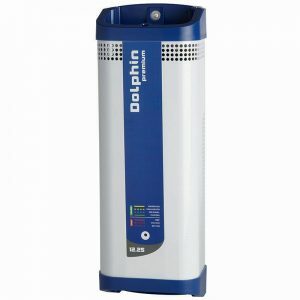 Perfect evolution of DOLPHIN 2 series battery charger the DOLPHIN PRO series use low-loss built-in blocking diode for a better efficiency and high temperature components providing full power up-to 50 Celsius degree. A new innovative ergonomic casing made with high grade aluminium material. Easy mounting with 4 screws only and front access for user. 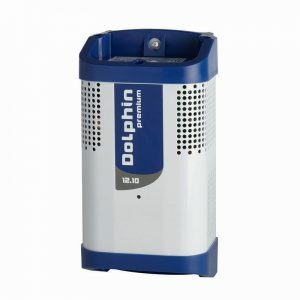 The new DOLPHIN PRO battery chargers have new exclusive feature. Display with AMP/VOLT of battery charger, charging mode (floating, absorption, boost) and alarms (temperature, fuse, battery). Using built-in CAN BUS J1939 interface the DOLPHIN PRO can be connected to any monitoring system without any external device. Built-in alarm relay is included for remote alarm systems. 9 charging programs for all type of battery (lead acid, agm, gel, LiFeO4…). 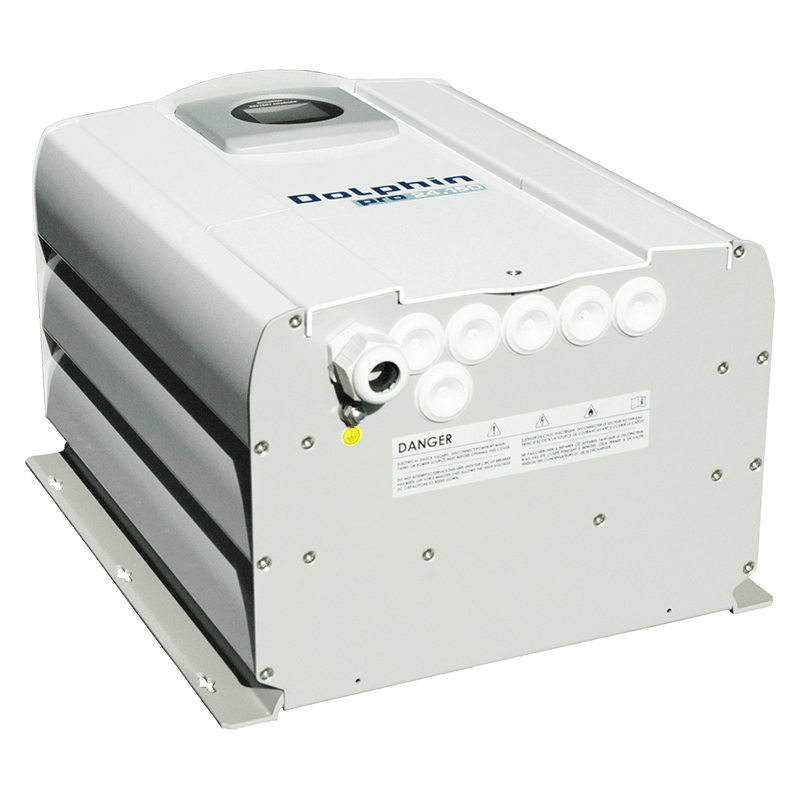 Winterizing battery programs and power supply mode First HMI innovative. TOUCH SCREEN 85mm diameter panel.